Set up in Berkshire in 2012, Siren is heavily inspired by Homer’s Odyssey, in so far as crafting beers named after various characters. Since initiating, however, the brewery has become widely renowned for a desire to strive and create the absolute best beers within the brew team’s capabilities – thus using the finest ingredients, putting hours into the brewing process and constantly tweaking the recipes for each batch of beer before its made ready available. 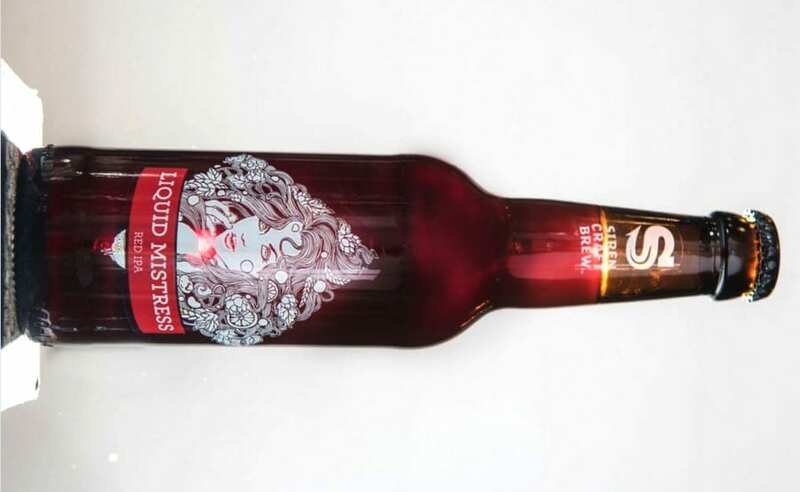 From their five-strong core range, Siren’s ‘Liquid Mistress’ is a red IPA that pours a dark ruby with a lasting beige head, showcasing very gentle visible carbonation. On the nose, an initial aroma of sweet strawberries is present, followed by notes of pine, hops, grapefruit, and a very prominent sweet maltiness that offers scents of burnt caramel that continue into the taste. Elsewhere, on the palate a slight fruity sweetness is joined by a resinous twang, a very slim metallic taste that’s often found in canned drinks, and a succinct bitterness that continues into a long, bitter finish. Aside from the colour, what’s most prominent with Liquid Mistress, conversely is the impeccable attention to detail that prevails with the remarkable balance of harmonious flavours on offer from this particular beer. Further information on Siren Craft Brew can be found at sirencraftbrew.com.